In our free solution brief and white paper, learn how you can transform your warehousing and logistics operations and build the warehouse of the future with the latest wireless technologies, software, and services from Inovity and Zebra Technologies. Learn how leading companies are leveraging wireless infrastructure, mobile and handheld computers, barcoding, RFID, and printing technology to achieve flawless fulfillment and materials management. Get expert insights on the latest trends, opportunities, and strategies to improve your warehousing and logistics performance and convert your warehouse from a cost center to a growth center. How warehousing operations and IT professionals are responding to significant changes and challenges in the industry. Analysis of industry realities, emerging solutions, and technology enablers to improve operations. The latest trends and future projections in systems integration, consolidation, and technologies. The top 5 alignment opportunities for warehouse operations and IT. Insights on improving inbound handling, storage and inventory, pick and fill, and outbound handling. How to streamline the path to flawless fulfillment and plan for change and innovation. Steps your organization should be considering in response to major changes impacting warehousing operations. Contact Us to Start Transforming Your Operations Today! As a business process improvement company, Inovity designs and integrates innovative systems that connect and relay crucial business information between all points of operational activity—in real time. 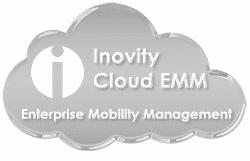 By emphasizing wireless networking, workforce mobility, data integration, and process intelligence, Inovity provides automated technology solutions for manufacturing, distribution, healthcare, retail, and field service environments. As part of our mission, we would like to offer you a free systems consultation to help you assess your operational and enterprise needs and evaluate your best options in leveraging the latest wireless technologies.